Ruby is a variety of corundum, a mineral whose chemical formula is Al2O3, basically aluminum oxide. Gemologically is classified in the same mineral family as sapphire owing to almost the same physical and chemical features. However, from the point of view of crystal healing, both stones are quite different and possess distinct curing, i.e., metaphysical characteristics. 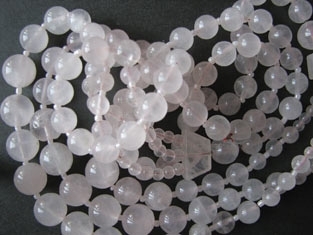 As a pure mineral, corundum is colorless, but in this form not so common in Nature. The characteristic red color of ruby is due to traces of chromium Cr, at least that is the accepted scientific opinion. There are variations in color as well, so some ruby specimens can have orange, even pink color and are considered very valuable. Its infinite fluctuations of color, starting from light pink to intense blood red of the darkest nuances should be taken into account when considering the crystal healing with ruby. If combined with rutile, some rubies exhibit a special magnificent form of star rubies. If found in sizes that exceed 4 carats, rubies are very expensive, probably as costly as diamonds. The ideal ruby color for jewelry production is the rich intense pure red abundant in fluorescence features. 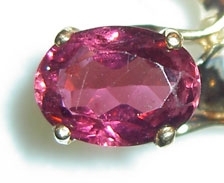 The best specimens have some small particles within their structure, which help increase the diffusion and refraction of light and contribute to the characteristic shine of the rubies. They also increase the overall optical properties and prevent light extinction in faceted gems. Rubies have always been known as “stones of nobility”, but some famous ruby stones in the crowns of the famous rulers of the past are now believed to be mere red tourmallines, or garnet gemstones. Nevertheless, this king of the gemstones when in its perfect shape and form is without a real competition in the mineral kingdom. Its color can be so vibrant and alive that it was worn equally for its beauty as for its protective and stimulating properties.One of the most prominent features of ruby — its relation to human love and passion — has been known even in most ancient times. That said, the energy of ruby is a very special type of intense energy, and it might not be suitable for every individual. 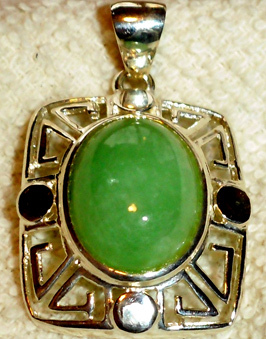 As such, this stone promotes courage, power, wholeness, success, and prosperity. Ruby’s color associates this gemstone with vitality, strength and also with our blood and all conditions and phenomena that are blood related, such as detoxification, and resistance to inflammations and infections. The link with the bloodstream has a spiritual connotation: our bloodstream is related with our personality in the sense that our ego is expressed in it. So, ruby can help in transfiguration of our love into Divine will — a process which makes this gemstone a center of love and devotion. Notable occurrences of rubies of exceptional quality are in Australia, Tanzania, Pakistan, India, Ceylon, and Burma.Ruby is a traditional birthstone of July. Ruby jewelry, either in form of earrings, rings, necklaces or brooches, makes it an excellent present for those born in this part of the year, and especially having in mind its symbolism. Astrologers connect the red ruby color with the Sun. In crystal healing, ruby can be classified as gemstone of the fire element, as already seen from its relation with the blood. Therefore this stone is especially suitable to be used by all fire signs,i.e., by persons born in the fire sign of Leo, Sagittarius and Aries. This does not mean hat the other signs cannot benefit from this stone. They should however take into account the strength of the transfigurational energy of Ruby, since this stone is so intense and powerful, it can be overwhelming if not prepared. When working with this crystal, healing is achieved by simple placing it within our etheric body or aura. The Ruby’s light will vitalize and energize all energy channels and specific energy centers within it, enabling increased energy flux through all parts of the organism. The energies of Archangel Raphael, the Angel of healing and consecration of the Fifth ray of spiritual light are most compatible with ruby’s energies. At the end of this article about the healing powers of Ruby a word of caution. If you happen to have a transparent sizable Ruby stone of exceptional quality, its energy will be very strong. With it comes the obligation to use this stone only for the most high of purposes and only for those intents which are in agreement with our own True Self. Otherwise, anything less than the most pure and most high motivation will create a negative field of force around us and our fellow man. The negative consequences, such as greed, passion and jealousy, can be provoked if this stone is used otherwise, since Rubies are linked with the powerful purifying attributes of the fire element.